Home Sales in California downshifted harshly in December 2018—reflecting a seven-year high for mortgage rates the prior month, more stock market volatility and a continued hold-out by some would-be buyers who are hoping it will pay to wait—according to Andrew LePage, Professional, Research Analyst at CoreLogic. The report titled “California’s Year Over Year Drop in Home Sales Largest in Eight Years ”, LePage noted that the 2 percent annual gain in the median sale price in December was the smallest in nearly seven years. This, however, understates the affordability challenge many would-be buyers face. The monthly principal-and-interest mortgage payment on the state’s median-priced home in December 2018 was up 10.7 percent compared to the previous year around the same period. LePage noted that this is because of a nearly 0.7-percentage-point gain in mortgage rates over the prior year. Per CoreLogic’s estimate, approximately 30,697 new and existing houses and condos were sold statewide in December 2018—recording the lowest sales tally for a December in 11 years. CoreLogic public records data shows that December 2018 sales dropped by 8.4 percent from November 2018 and fell 20.2 percent from December 2017. The report found that last December’s 20.2 percent year-over-year sales decline was the steepest for any month since October 2010, when sales fell 23.2 percent. The drop in sales occurred at all price levels, it indicated. The median price paid for all new and existing houses and condos sold statewide in December 2018 was $475,000, declining 3.1 percent from November and recording an upward spike from 2.0 percent from December 2017. In nominal terms, California’s median sale price hit an all-time high of $500,000 in June 2018. “Stock market volatility creates a headwind for high-end activity. Market corrections can spook high-end buyers and leave some with inadequate funds to cover down payment and closings costs,” LePage said. 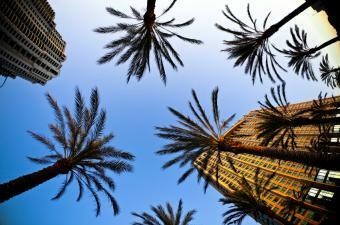 The other highlights for December 2018 revealed that in the six-county Southern California region, 15,781 new and existing houses and condos sold in December—dropping by 20.3 percent year over year. December’s median sale price was $515,000, up 1.1 percent year over year. The nine-county San Francisco Bay Area recorded sales of 5,341 new and existing houses and condos, down 21.6 percent year over year. December’s median sale price was $785,000, up 4.6 percent year over year. CoreLogic  data suggest that some of the state’s more affordable counties logged annual gains in total sales or relatively small annual declines in December 2018. However, there were also some relatively affordable counties that experienced annual sales declines more in line with the coastal regions.